Earlier this week was mine and David’s anniversary. We spent the day flying home from Germany, so I definitely wasn’t in any shape to be making a special dinner that night. Instead, I dedicated my Saturday to preparing a celebratory feast (complete with wine pairings). 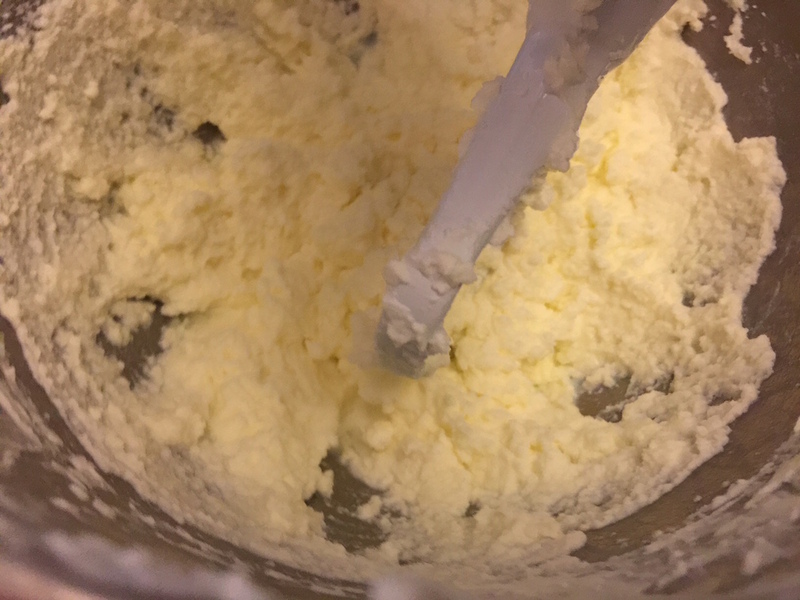 I’ve made challah dozens of times for David, so in order to elevate the meal I started my marathon day of cooking and baking by churning some homemade butter. 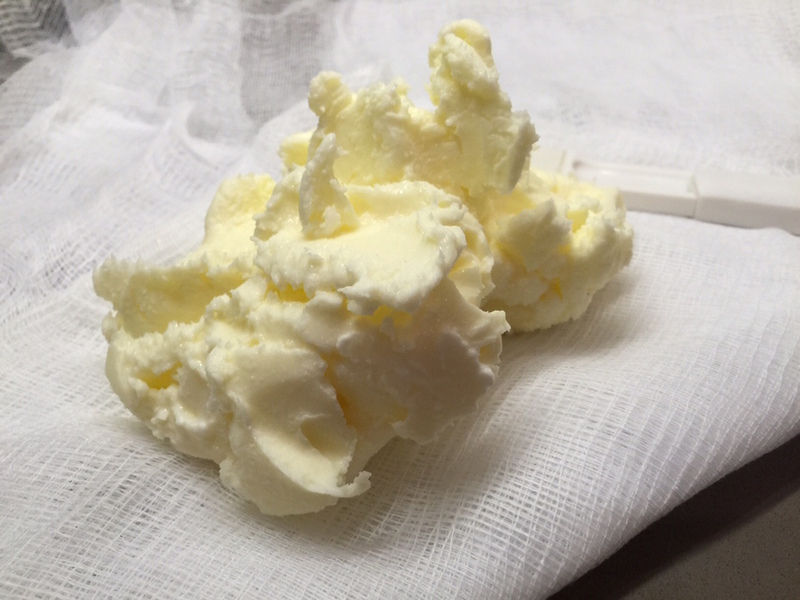 I think there are a lot of benefits to making your own butter, not only is it totally brag worthy, but you can season it exactly how you want, and you also get buttermilk to use for pancakes the next day! In addition to challah and homemade butter, I made a raw burssels sprout salad, pasta with a pea, corn, and pepper sauce, then french vanilla bean ice cream and brownies. All made from scratch, ladies and gentlemen! I was clearly in the mood to cook up a storm after being away from my kitchen for over a month, and as a result I’m pretty exhausted today. 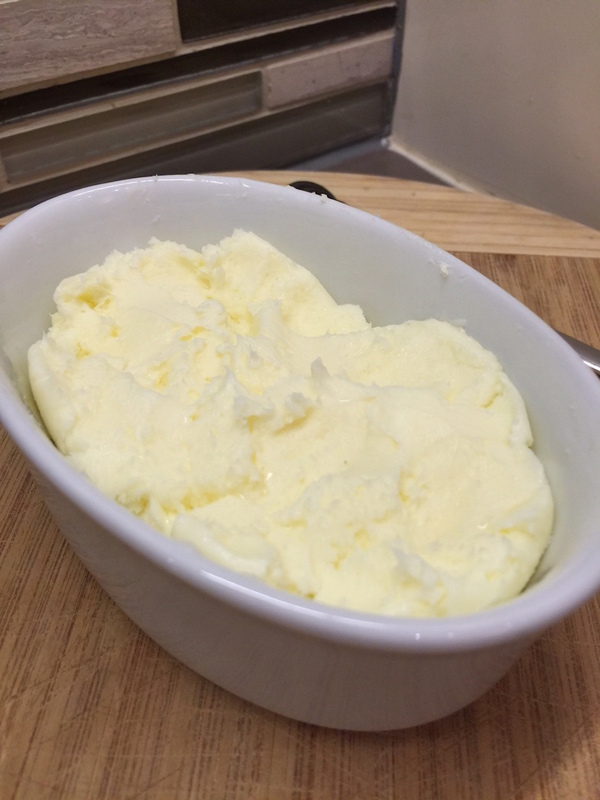 So making butter is actually super simple. There are only 3 ingredients. 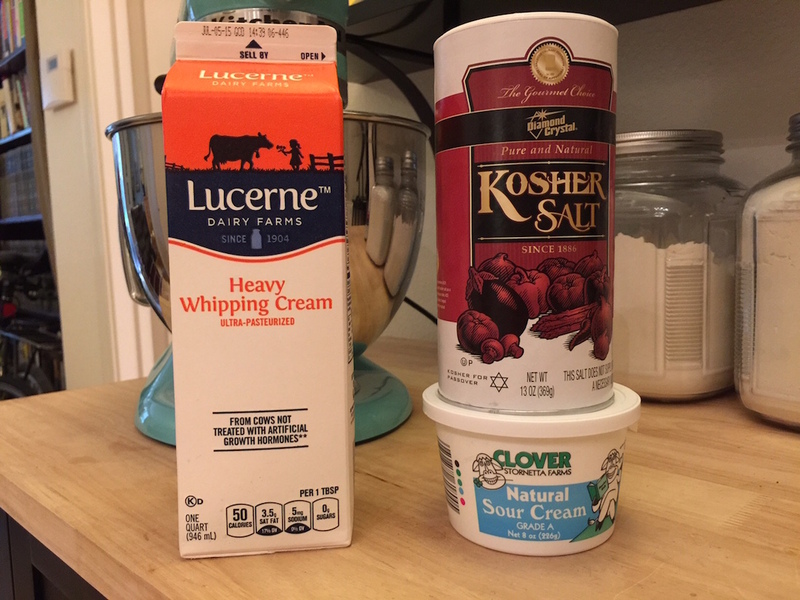 You could make the butter without the sour cream, but I actually like the flavor it adds. 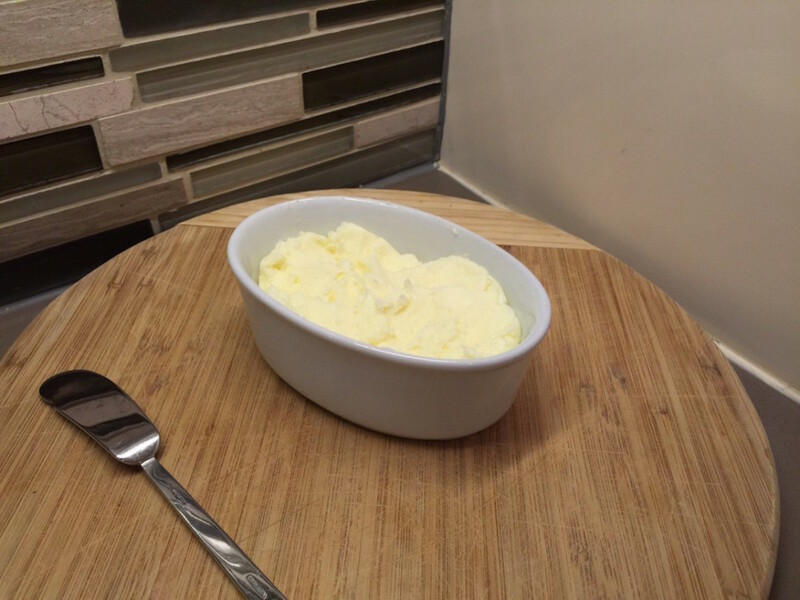 Got the idea from Chef Alex Guarnaschelli, and it really take the butter to the next level! Alternatively, you could use cream that’s gone a little sour to get a similar result. 1. 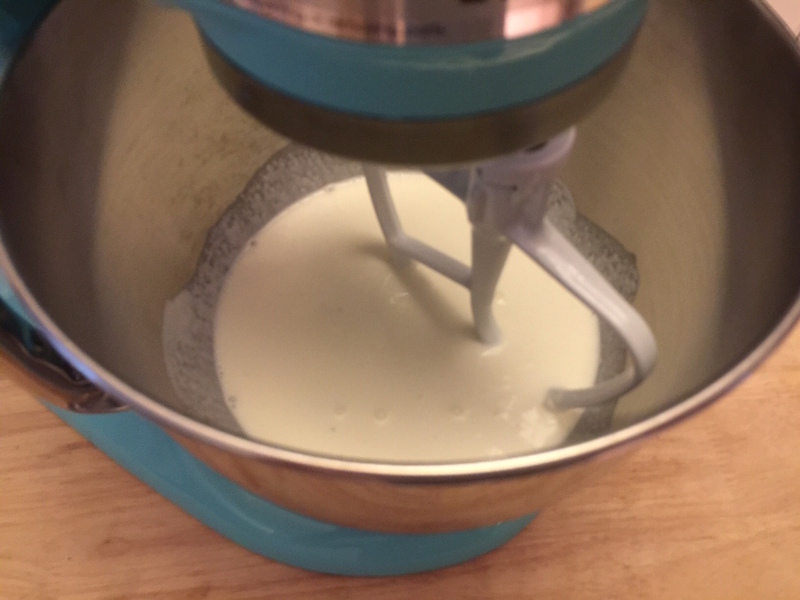 Combine heavy and sour creams in a mixer, start on the lowest setting then gradually increase the speed to a low medium. 2. You’re going to be mixing for a while, pausing every now and then to scrape down the sides. 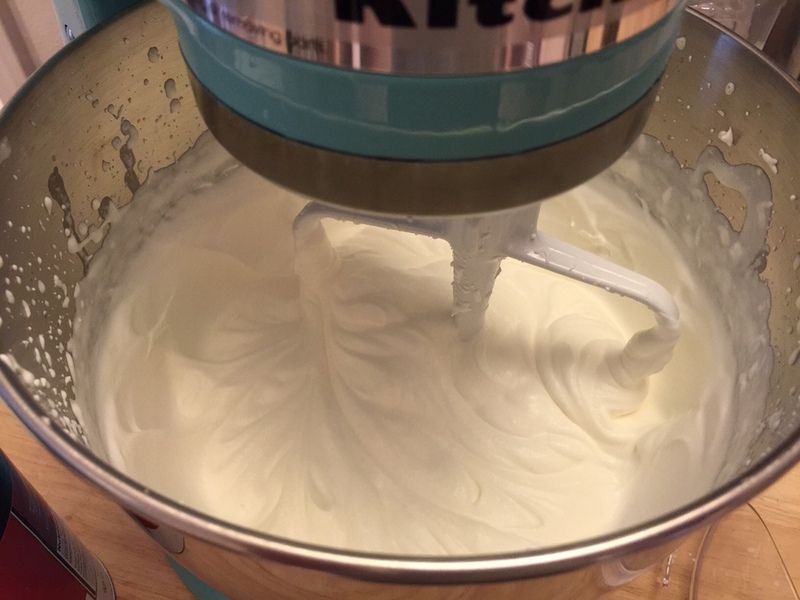 At first you’ll get a whip cream like texture. 3. Then the fat will start to separate, and it will smell like butter. Keep churning. 4. 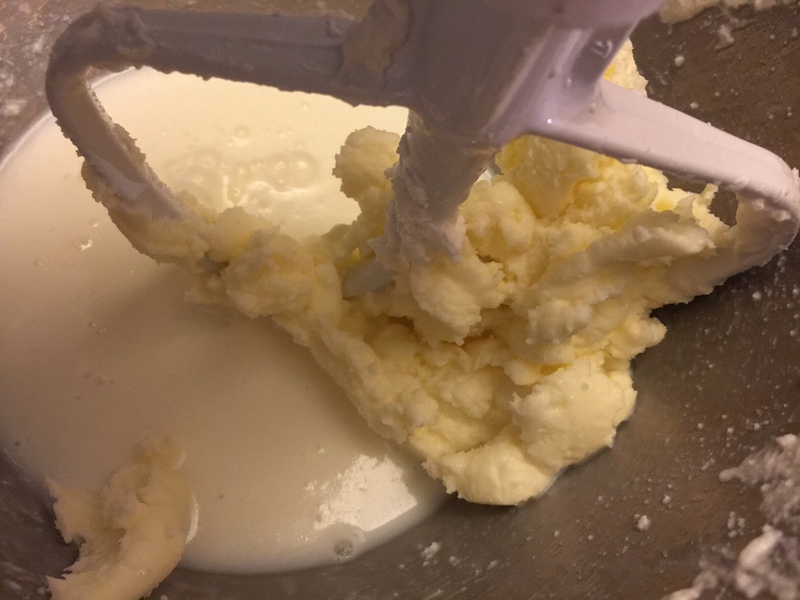 The fat will begin to clump together, turn the speed down to the lowest setting and keep churning a bit longer until all of the butter gathers on your paddle. 5. 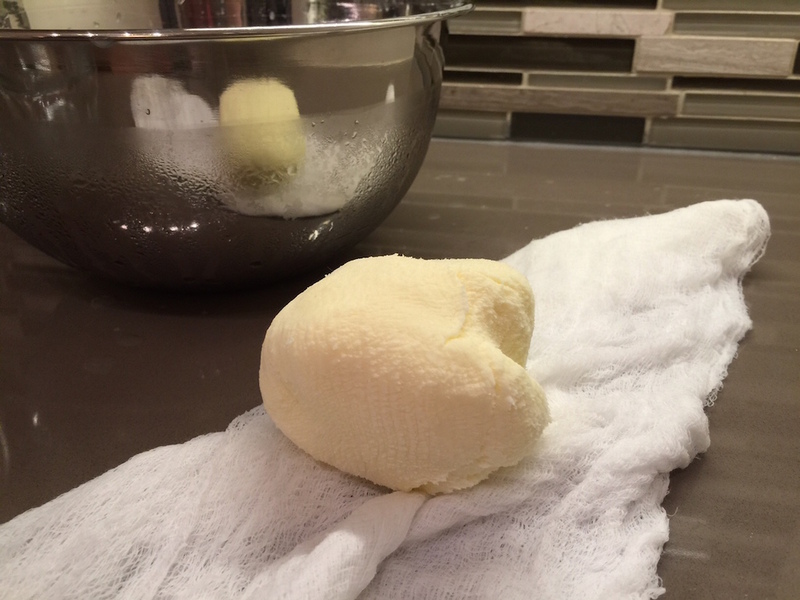 In a bowl, fold in salt according to taste, then wrap the butter in cheesecloth. 6. 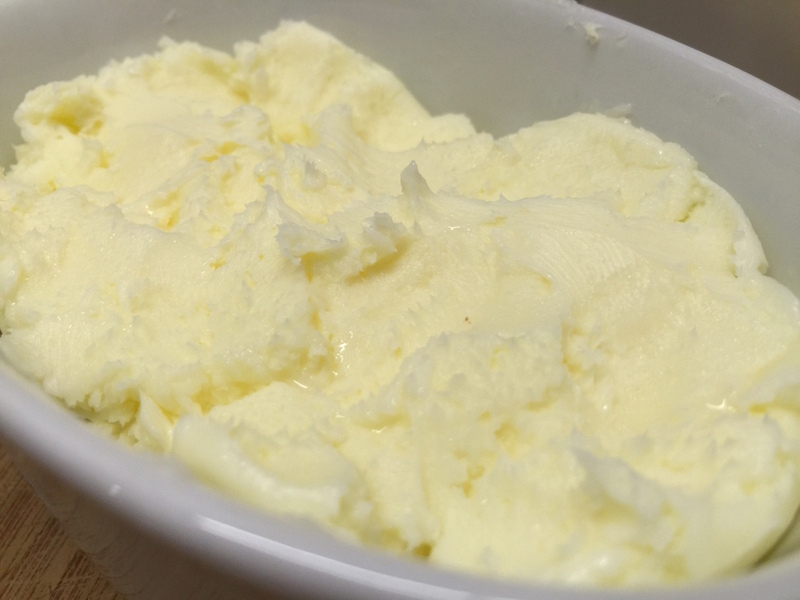 Submerge the butter in ice water to remove the excess buttermilk. Then wring out, and pat down with paper towels to remove as much of the water as you can. 7. Press into a bowl or roll in saran wrap. Cover and store at room temperature if you’re using in the near future, or in the refrigerator to store.